Hello everyone! I'm launching a brand new series today called 'The Brigade that Builds Brands'. 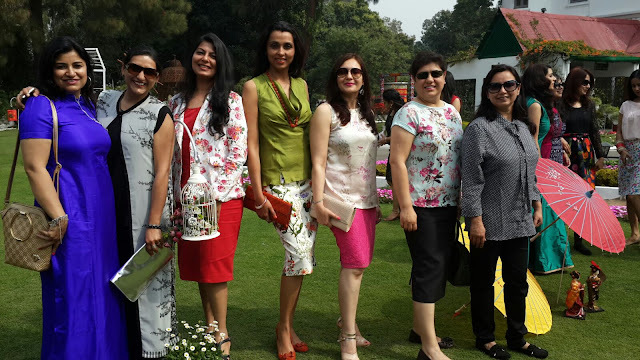 It's all about fauji wives / military spouses, who make work work for them through multiple postings, back-to-back social commitments, spotty internet connections, long stints of single parenting and a lot more. An article I wrote a year back about military spouse entrepreneurs for Scroll.in, got me thinking about such a series. I'd interviewed several ladies for that article, and each had a lot of chutzpah to share, and an 800-word article just could not fit in all of it. Also, as an Air Force wife, entrepreneur and evergreen student, I've come across plenty of hiccups and situations, most of which may seem unusually strange to my friends who aren't part of the military. I also realize that several military families are unaware of what a military spouse has to juggle, give up and work around to turn her aspirations into reality. 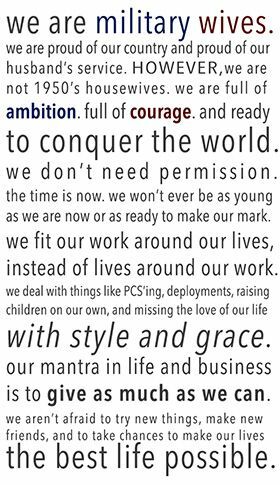 So maybe, it's time to tell our stories, with the hope of sharing some of our unique life and work situations with the world, and to inspire other military spouses to create their own work instead of feeling frustrated at the lack of opportunities or taking a rain check just because something suitable isn't available. I also hope that sharing our stories will help make the notion of entrepreneurship and women with alternative careers more acceptable within the fauji community. Without further ado, here's our first fauji wife entrepreneur. I'd like to introduce you to Harpriya Bains, an artist and Army wife I met at her exhibition around 12 years ago. 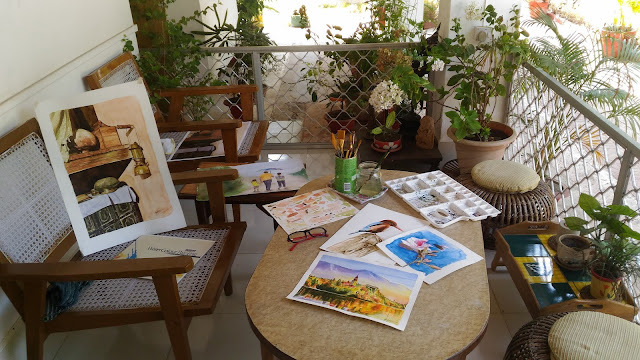 I was still a new AF wife then, right in the middle of "fauji wives should not have a career" brouhaha back at my first station (here's my story), and Harpriya was a young mother with a toddler in tow, creating magical watercolors from her two-room home on a hill. Seeing her juggle creativity, her passion, motherhood and fauji life with élan, filled me up with hope to keep doing the work I'm passionate about, in spite of the tremendous social pressure to quit and conform. Since then, we've both filled our lives with work that fulfills us and I'm ever inspired by her story. Thanks Harpriya, for being here on this blog. H. I have been married to Col AS Bains for the last 15 years. Travelled to many stations with him and currently posted in Goa. I am an artist, make water colour paintings to be precise. And now also trying my hand at another performing art. 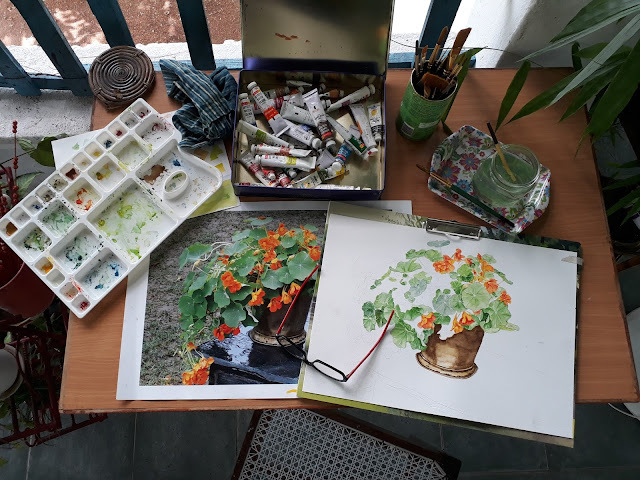 H. I was always fond of painting and always had it as my favorite hobby class in school and college (also awarded artist of the year for 2 consecutive years in school) but never took any formal training in it. Basically a management student and pursued a career in advertising and brand management before I got married. Left the job when I got married because wanted to give all my “quality” time to my new life and home! That gave me an opportunity to get back to my passion for painting. I started out with just doing some work at home which was really appreciated by friends and family and with that encouragement and a final push from my husband I started to prepare for my first exhibition at Mhow (near Indore) where we were posted at that time in 2003. 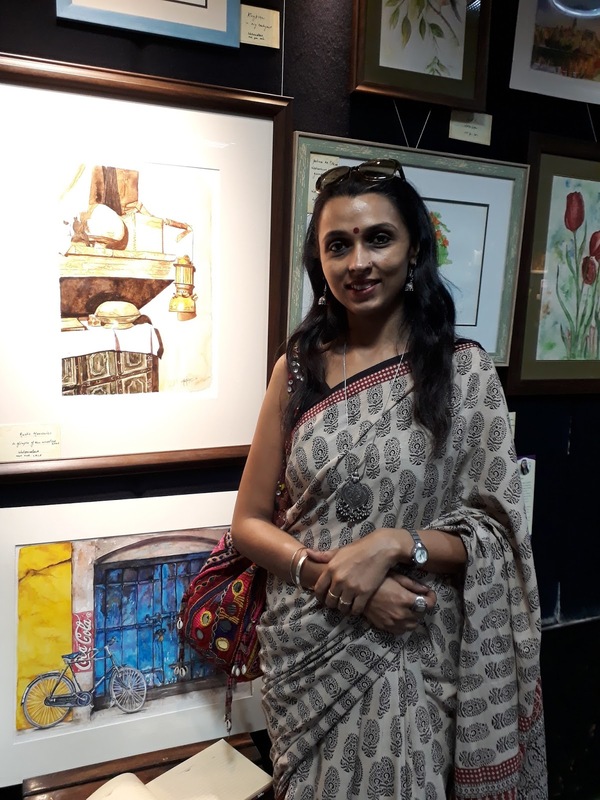 H. My first exhibition at DSOI Mhow was quite a success and very encouraging. I sold many paintings on that day and received orders for many more for Army Messes and homes. For me, that proved to be a great opportunity to do something I loved from the comforts of my home. Word of mouth was good at that time so I received orders from friends and a few army messes outside that station as well. I continued doing my work even when we got posted to other places and went on to hold exhibitions at other stations whenever I could manage like Pune and Goa. After the kids were born, painting did take a back seat for a while though. 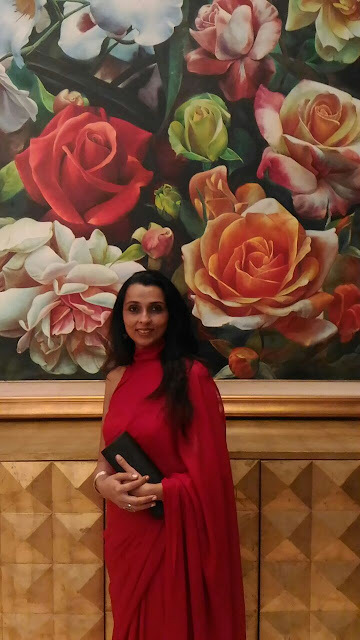 But since I always have been an independent “keep-doing-something” sort of woman, I even had the opportunity to work online as a Brand manager for an information management company called Iron Mountain India Pvt. Ltd. for 7 years! This work experience was also enriching and satisfying and luckily I could continue the same from 3 stations during that time. All I needed was a good internet connection!But eventually, the call for my creative instincts was larger and I got back to pursue my creative dreams. H. For paintings, so far I rely on word of mouth and social media – facebook, instagram and watsaap! Works well from all sorts of places. Don’t really have a concrete marketing plan. H. I am a third generation fauji kid so the fauji commitments are more of a way of life. Never really looked at them like a hurdle or an obstacle. But yes there have been times, especially as a CO’s wife, when the commitments have been way too many and back to back but that is the time you have to invest in a support system. My husband and I have always believed to hire a good support staff to ease out things and daily chores at the home front so I could spend enough time doing my job, whether it was my online job or the fauji activities and look after my children. Also, my mother-in-law has been with us most of the times so that has been a huge support whenever I had to leave the kids home and be out of the house/station.You have to be prepared to work that extra bit, late nights, Sundays etc to sometimes complete all that pending work that you couldn’t do in the past week due to fauji commitments. But sometimes you just have to be strong and take a stand to whatever is the highest priority at that time. 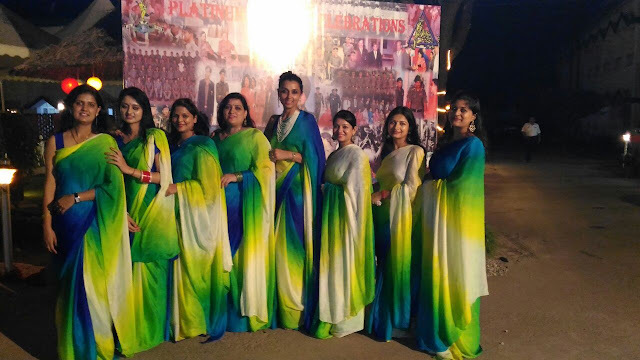 Whether it is taking that important conference call at work vis-à-vis a fun ladies meet that you could miss or an important Corps day function where you are the host and have to be there at that exact fauji time vis-à-vis a work commitment. Sometimes you just can’t make everyone happy and you just have to accept that and prioritize!! 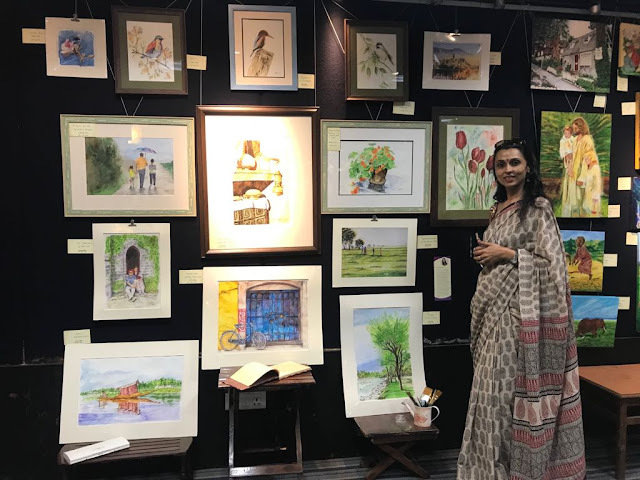 H. Being an Army wife, I have had the opportunity to travel across India and so all my paintings are like a reflection of my journey as an artist, as a person and are a little bit part of me and the memories I built along the way. Experiences at different stations and meeting people from across the country only widens your horizon of learning and growing as an individual and it is up to us how we can use that knowledge to the best of our abilities. Welfare activities and working closely with OR families of my unit (as a CO’s wife) was a very satisfying experience as one could help women in self development and provide vocational learning in various fields. I have even conducted personality development and motivational workshops with them.I have also thoroughly enjoyed all that glam and fun of our good’ol ladies meets and have actively participated in them for MC, dramatics, games etc. However, off late, things seem to be no more “voluntary”. Ladies are often pressurized to take leave from their jobs or leave kids unattended for ladies meets and such other commitments. This leads to resentment and often makes ladies wanting to avoid “army commitments” thus leading to an unhealthy environment in the unit or station. I strongly feel that in todays day and age of women empowerment, we must encourage and support working women and keep things more flexible and keep their timings etc in mind while doing rehearsals etc. On one hand we are doing so much to empower the OR families, then why on the other hand is there so much fuss about officers wives wanting to pursue their dreams. H. This answer would be similar to the one above. Sometimes faced tough times trying to explain to people that my work matters and that I have a commitment to keep over the fauji pressures. Also sometimes you have just about made a good base at a certain place for your work and its time to move to a new posting!! Can be a bit disturbing at times. H.1. Invest in a good support system..Either have support staff to help you out with daily chores and/or a grandparent for overall supervision so you are not stressed about home and kids when you need to be away. 2. Trust your support system!! 3. Inform your senior officers wife first hand (but politely) that you are a working woman and have commitments to keep but will be happy to contribute at the fauji front whenever possible. Don’t bring it up as surprise only when you are asked to do something. Women working from home especially need to explain properly the details of their work and that it too requires daily commitment and is not just a “hobby” or “time pass”!! 4. If you are a senior officers wife, understand the work commitments of your ladies when they need to be away. You support them and they will totally respect you for that and stand by you when you need them the most. I have experienced this myself as a CO’s wife. 5. Have a great internet connection. Helps to market your work and be in touch with your market. 6. Don’t try to make everyone happy. You just can’t!! So think, think and think more to prioritise what is the most important thing at that time. 7. Look at the brighter side..travelling so much, seeing different cultures and meeting all sorts of people will only enrich your experiences and give you different perspectives and ideas. I have learnt that there is always something new to learn at every new place…you just need to look out! 8. If at some station, you just can’t work for some reason then go back to learning. Pick up a hobby..music, art, dance,baking etc. , learn yoga or zumba, study further..maybe it’s time to get that degree you always wanted or do some online course in your area of work to enhance your skills…or just back to reading and read lots of books! Do something..exploring, self development and simulative growth should never stop and should always be an ongoing process!! 9. 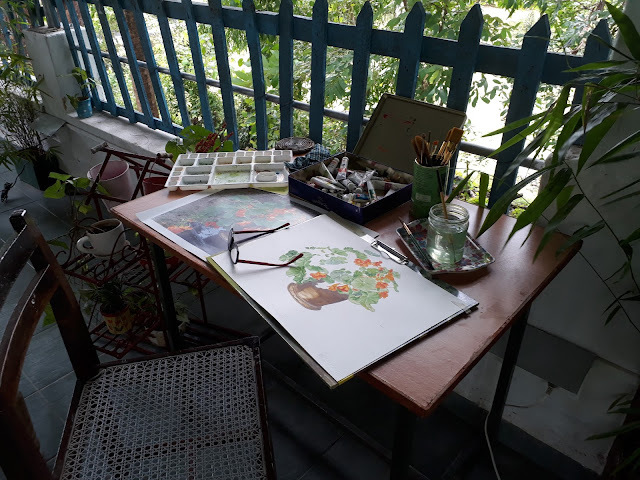 Sometimes having to move out of a place actually makes you go back to your long lost passion and do what you really wanted to do instead of mindlessly continuing that tiring job in one place that you were not enjoying for a long time. I was happy to quit my advertising career and endlessly long working hours. 11. Don’t give up..keep at it and it will happen!!! Having said that, I don’t always stay “calm” and have my “uncalm” and frustrating moments of shouting and screaming and pulling my hair out…but like I said..life can’t be perfect and I guess we all are still learning to let go…aren’t we? Are you a fauji wife/ military spouse with a project/business/brand/aspirations of your own & would like to be part of this series? Drop us a comment below telling us about what you do and how we can reach you. 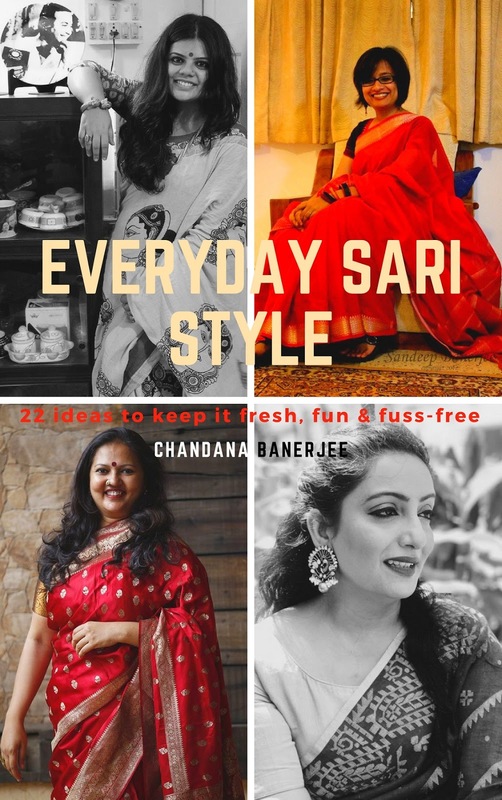 If you'd like to stay up-to-date on this series, please subscribe to the blog (once you pop-in your email id in the subscription form, you'll receive a Free copy of my Ebook - 'Everyday Sari Style: 22 Ways to keep it fresh, fun & fuss-free'). To connect on Facebook, join us on our page. Dear Chandana, congratulations on this initiative - keep doing well. The first article (Harpriya) is a great start so will look forward to more. Harpriya deserves a salute for balancing her life and yet excelling in what she is passionate about. All the very best to your blog. Thank you for taking the time to send me this note. I look forward to bringing more stories of fauji wives to the fore. Thanks for your encouragement and appreciation. Hi Chandana! Wonderful to read Harpriya's interview. It is absolutely spectacular what can be achieved when people follow their heart. The result is both satisfying and beautiful. Harpriya's work is stunning and the fact that she continues to hone her superior skill assures you that things just keeping getting better. I wish you and Harpriya all the very best. Nice post. Please also write about children of Fauji .I am also daughter of Ex Air Force dad. Lovely well-balanced article and very positive. But as a (retd) fauji wife myself, i fully understand the tremendous will-power required to find one's feet and start afresh in a new posting. More power to all of you!! !